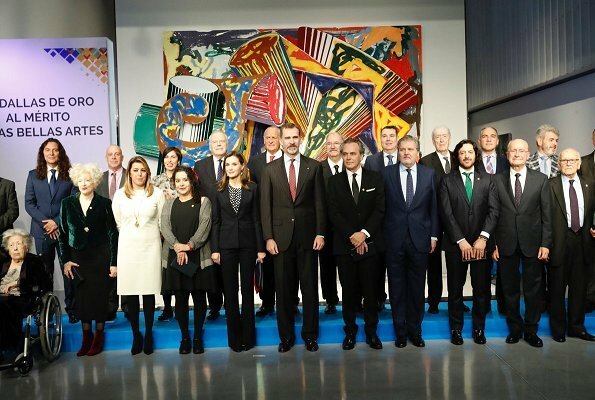 On February 06, 2018, Queen Letizia of Spain and King Felipe VI of Spain attended presentation ceremony of the Gold Medals of Merit in Fine Arts 2016 held at the Pompidou Center in Malaga, Spain. 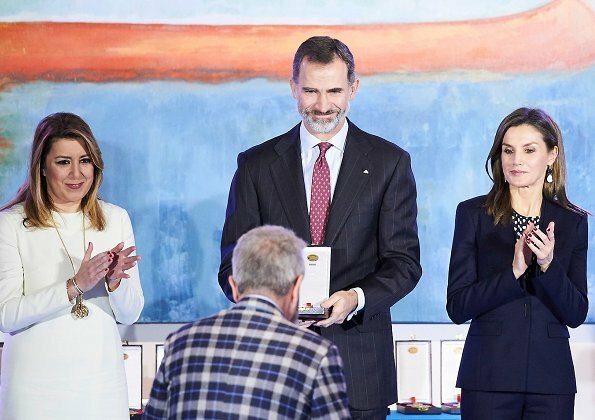 The Gold Medal of Merit in the Fine Arts is awarded by the Ministry of Culture of Spain to individuals or institutions excelling in artistic or cultural creation or to those that have provided valuable services to promotion of art and culture or to conservation of artistic heritage. Pero sí, son una pareja magnífica. I wish I look like that wearing suits..